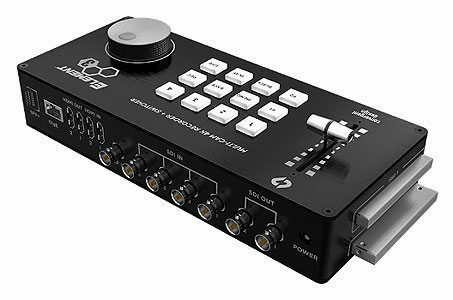 Convergent Design Element 3 4K Recorder, a recognized world leader in on-camera recorders, today announces the Element 3 of multi-camera video recorders and switchers. These simple to use, cost-effective products, emphasize fast video productions by eliminating many time-consuming steps while providing unprecedented access to your video footage, even while you are still shooting. All devices in the Element 3 are built on technology not available previously to eliminate many of the time-stealing tasks common to multi-camera productions. By enabling features such as network media access, simple keying and tactile control surfaces these compact, powerful devices are the next evolution in smarter production workflows. Want to dramatically speed up production by enabling editing, QC review of takes, social media posts, backup, and upload to the cloud? Element’s Network Media Access makes the time-consuming process of uploading footage after the shoot a thing of the past.